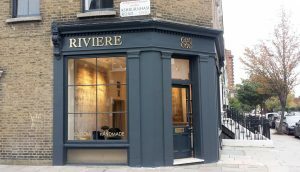 We left our office around 11am heading to Chelsea / SW London – traffic was bad (as always) ;). It took us about an hour to get there. When finally got there – we quickly installed the brass channel lettering and logo using paper templates and brass locators (screwed directly to the wooden panels). 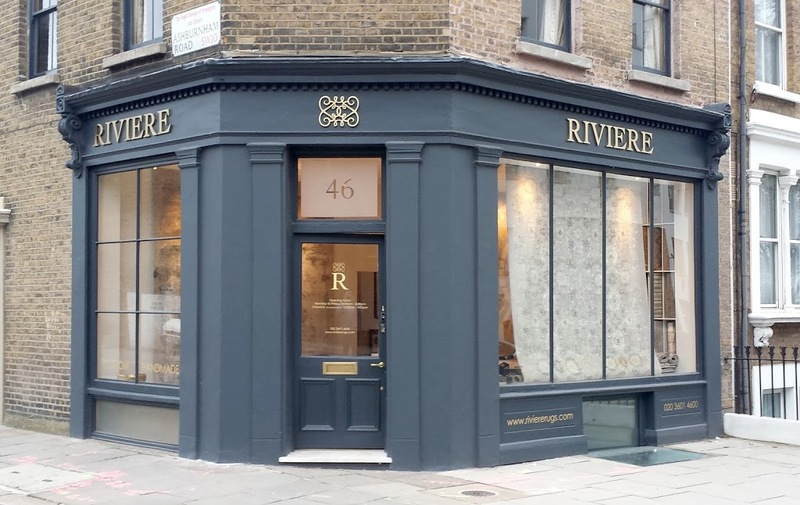 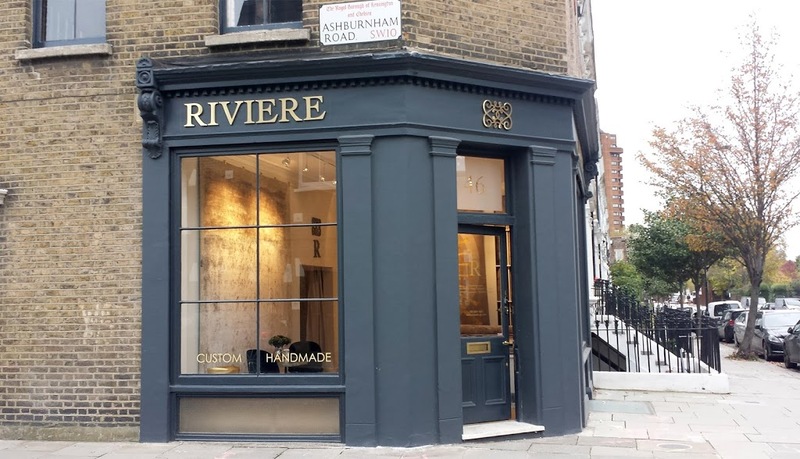 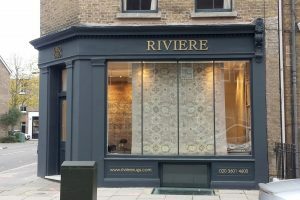 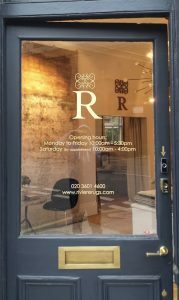 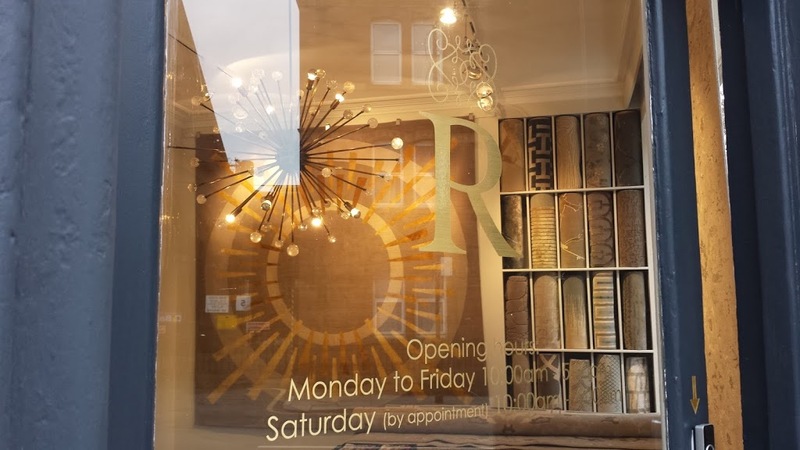 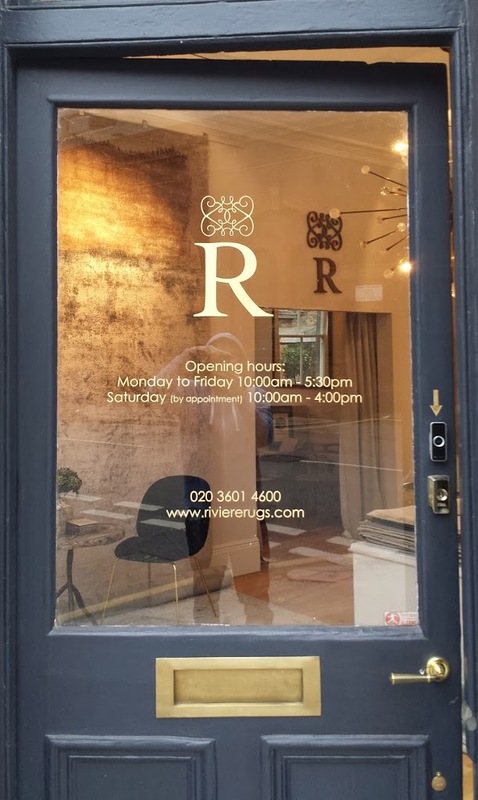 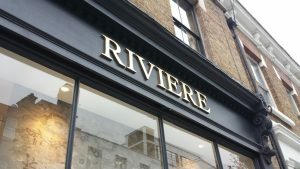 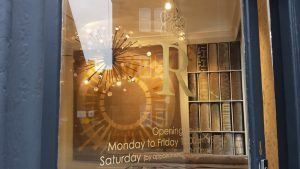 After that – we applied gold vinyl graphics on the windows on both sides of the shop and also opening times on the door and an arrow above the entrance bell. 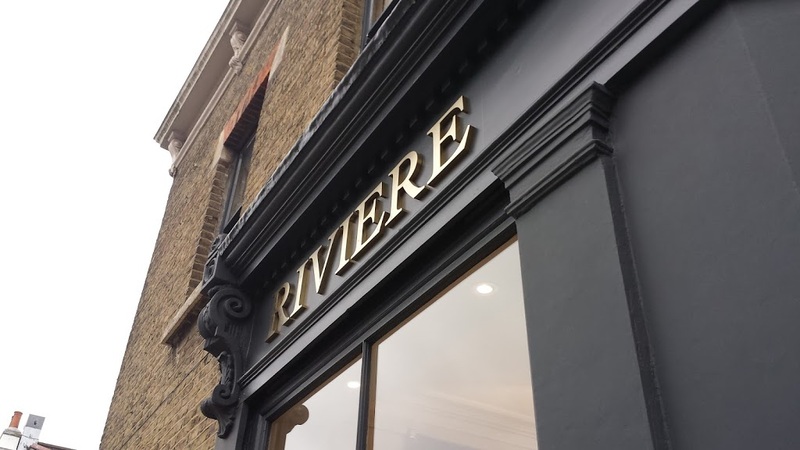 The final effect is really stunning – isn’t it?